Japanese Transcription » Audio Transcription Services - High quality audio transcription services. …have your audio transcribed and translated by the most professional and experienced transcriptionists and translators in the industry. AudioTranscription.Org, a transcription services company based in San Francisco, California, has become well-respected in the transcription industry because our clients know that their transcripts will be completed quickly and accurately — all pluses for people who are constantly on the go and never seem to have enough time to do all the things they need to do every day. You can trust AudioTranscription.Org to handle your Japanese transcription and translation project with the same speed, accuracy, and attention to detail we have become known for when it comes to English transcription. We have partnered with a fantastic organization that employs only the industry’s top translators, so we can now transcribe your audio to and from Japanese and English — and in almost any other language you might require. Give AudioTranscription.Org the chance to transcribe or translate your next audio project and you will be glad that you did. Let us prove ourselves to you: We will give you a free sample of our Japanese transcription and translation work, so you can see for yourself the kind of accuracy, speed, and professionalism you can expect from us. In fact, we guarantee an accuracy rate of +98% because our team of professional proofreaders reviews every transcription and translation project we complete. Wouldn’t you like to stop having to guess how much your project is going to cost? 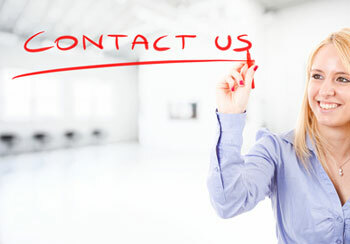 Contact us today and let us take the guesswork out of the equation by giving you a free quote. One of our friendly account managers would be happy to answer your questions and help you get started toward never having to worry about the transcription and translation projects you need done. Leave that to us. It’s what we do.